The area of Sylvan Lake in Burlington Township where police say a 12-year-old boy drowned. 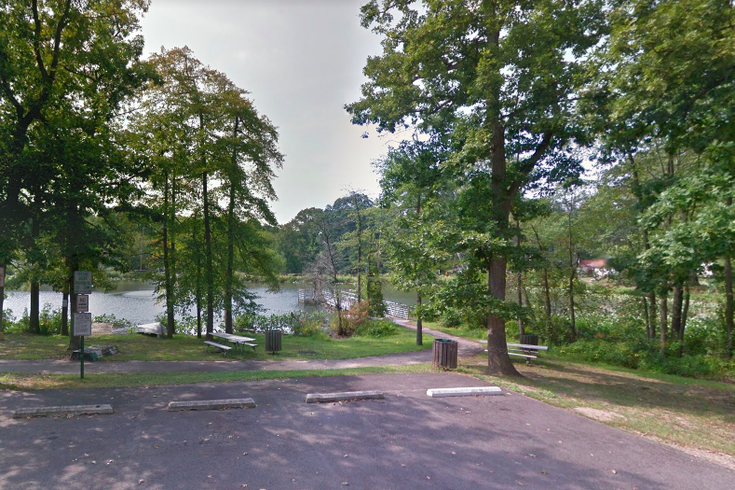 A boy has died after a trip to the lake in Burlington Township, N.J. on Thursday evening, according to authorities. Police said they responded to a report of a boy drowning at Sylvan Lake near the intersection of Lake Avenue and 14th Street at around 4:49 p.m. There, they learned that the 12-year-old boy was at the lake with friends and had jumped into the water, but never came back up. Emergency personnel and police dived into the lake but couldn't retrieve the boy. Around 7:46 p.m., the boy's body was recovered from the water by state police. There are no suspicions of foul play, police said. Authorities are asking that any witnesses contact Burlington Township Police Det. Ruben Ortiz-Cruz at 609-239-5889.